One of the tenets of The Mythology of Ryan Adams is the guy’s endlessly hyper-prolific nature. Yes, he cranks out songs as easily as most people breathe, often excitedly committing them to tape very quickly — where, more often than not, they languish unreleased and unheard by the world at large. So it is that, as covered in “Losering,” Ryan has recorded at least several dozen albums worth of songs that have never been properly released. Chief among these is Exile on Franklin Street, named in honor of one of Ryan’s old back-in-the-day Raleigh addresses and a collection of songs he was talking about when I was interviewing him 15-plus years ago. Most of the songs on Exile have been intermittently available over the years as bootlegs; and here they are, compiled in extensive and relatively accessible form. Seems like just the thing to listen to while awaiting his next magnum opus. More than once in the years since Whiskeytown, Ryan Adams has declared that he hates country music and always has — a sentiment that I don’t really believe, even though he probably meant it at the time he said it (because he usually does). Be that as it may, apparently Ryan does not feel the same way about bluegrass. At last weekend’s Telluride Bluegrass Festival in Colorado, he was booked for what had initially been billed as a solo performance. Instead, he appeared with the Infamous Stringdusters and Nicki Bluhm backing him up. The set was well-received, and Ryan tweeted enthusiastically about it afterward (“Bluegrass is alive and wandering the hills like a blue moon yeti”). There was not an online live stream of the show, to the disappointment of fans elsewhere who wanted to watch and listen. But below are a few fan-shot videos from the performance, of Dio’s “Holy Diver” and his own longtime signature “Come Pick Me Up.” Check them out while you can because I fully expect them both to disappear soon. Meanwhile, if Ryan is really in a bluegrass frame of mind and maybe wanted to play more of it while breaking his North Carolina boycott… well, sir, IBMA’s World of Bluegrass in his old hometown of Raleigh is a great time. And it just so happens the Stringdusters are IBMA regulars, too, having played the festival two of the three years since it moved to Raleigh from Nashville. Just sayin’. ADDENDUM (7/25/2016): Also, here they are at the Newport Folk Festival. Whether in sports or music, GREATEST-OF-ALL-TIME arguments are inherently pointless — but they sure are fun. And here’s another solid argument-starter: The Alabama Media Group is conducting an online poll asking readers to “Vote for the Greatest Southern Musician” of all time. To that end, they’ve done up a seeded NCAA Basketball Tournament-style bracket of 64 acts in four different Southern regions, from Texas-Louisiana to Florida-Kentucky-North/South Carolina-Virginia. North Carolina native Ryan Adams shows up in the latter bracket as a No. 14 seed. That puts him in a tough first-round matchup against No. 3 Lynyrd Skynyrd in what Al.com calls “the Battle of the Jacksonvilles,” Florida versus North Carolina. In that case, I think Ryan should get extra credit for “Jacksonville Skyline” and “Jacksonville.” Looks like he could use a little help, too. When I voted this morning, the ’70s Southern-rock icons were winning in a blowout with more than 88 percent of 819 votes cast so far. This “ACC” Southeast region’s No. 1 seed is soul godfather James Brown, which actually seems just about right; he should make short work of No. 16 Chris Stapleton. Of North Carolina interest further down the bracket is confessional singer-songwriter James Taylor, who was born in Massachusetts but spent enough of his formative years in Chapel Hill to write one of North Carolina’s definitive songs, at No. 9 and matched up with No. 8 Jimmy Buffett; Tryon-raised r&b icon Nina Simone at No. 6, pitted against Wilmington native Charlie Daniels at No. 11; and songbird Emmylou Harris, an Alabama native who did some time at the University of North Carolina-Greensboro (and was also Ryan’s duet partner on “Oh My Sweet Carolina”), at No. 10 and up against No. 7 Bill Monroe, the father of bluegrass. There’s a whole section of rules about how they determined who rated a spot in the field and where. This round of voting closes Saturday (June 25), with the eventual winner scheduled to be unveiled on July 18. And if Ryan is to have better luck with this than the Grammy Awards, he’s got some ground to make up. Cast your vote here. UPDATE (6/26/2016): Well, Ryan’s stay in this particular tournament was a short one. Lynyrd Skynyrd beat him with ease, pulling just under 80 percent of 1,235 votes cast to win by a final count of 987-248. James Taylor also bowed out in the first round, losing to Jimmy Buffett, as did Nina Simone to Charlie Daniels. But Emmylou Harris managed to advance past Bill Monroe; looks like she’ll be up against No. 2 seed Tom Petty in round two. UPDATE (7/18/2016): The Overall winner is George Strait. …Seven out of 10 readers (or at least respondents to its annual Readers’ Poll for 2015) prefer Taylor Swift’s 1989 to DRA 1989. 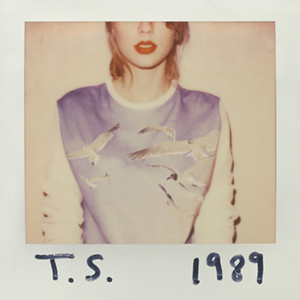 Guess it’s not just Grammy voters that like Swift’s original better. For Ryan Adams, 2015 began with news breaking that he and Mandy Moore were splitting up. Sounds like a tough year, all in all, and those of us on the outside clearly do not even know the half of it. Below is his end-of-year summary, from an Instagram post. UPDATE (12/27/2018): It seems that 2018 was a pretty rough year for Ryan, too. Young Ryan may not be so young anymore, but he’s definitely not dumb despite what he says in this Instagram post from the other night (interestingly, he has since deleted the caption). Being the dork that I am, I wonder if this backdrop is the same flag from the cover of his 2001 album Gold. Anyway, to the best bio subject one could ever hope to have, happy birthday in spite of it all. It’s hard to believe you’ve been gone from this part of the world for so long. May your 42nd year be the one in which you discover the meaning of life. ADDENDUM (11/5/2016): A year later, Ryan seems relieved to wave bye-bye to 41. Finally to all my friends for all the support they have given me, you know who you are. And why not…to Ryan Adams, Gary Moore and John Lennon for inspiration when I needed it most. 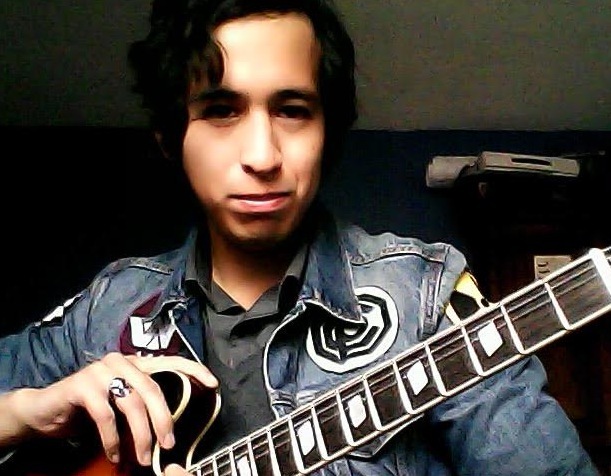 Figuring there was a story there, I got in touch with the author, a young man named Sebastián Chiwo from San Luís Potosí, México, to ask about his Ryan Adams fandom. As you can see below, he had a lot to say! 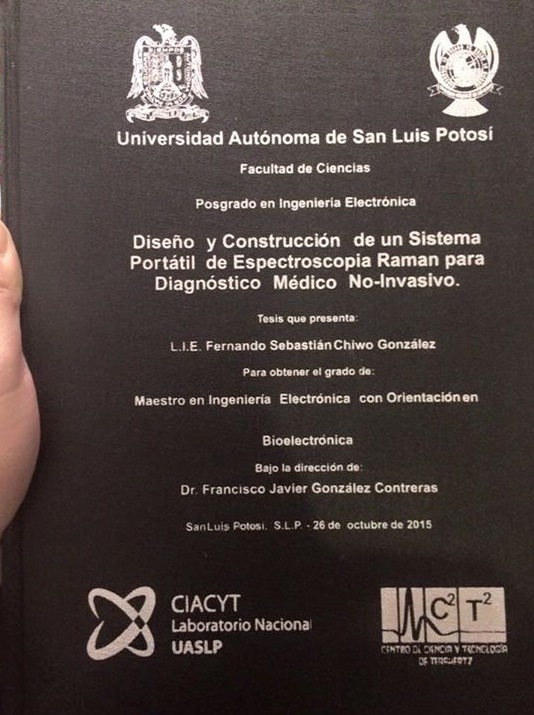 It’s pretty cool that Ryan’s name is enshrined in an academic document on file at the library at Universidad Autonoma de San Luís Potosí, even though he himself didn’t go to college. Ryan’s fanbase is not just enthusiastic, but geographically widespread and diverse. The first time I ever learned about Ryan Adams was in September 2001 when I was 13, after the tragedy of 9/11 — from the cool and lovely “New York, New York” video with many shots of New York City and a young guy with an acoustic guitar in his hands. I was very confused because my parents were fans of Bryan Adams, and I didn’t pay attention at first because I was busy learning classical guitar. But I became bored and began learning rock and blues, especially songs by John Lennon. One afternoon I turned on the radio and heard a very beautiful guitar riff and voice, which the deejay said was “So Alive” by Ryan Adams. From that day, the music of this crazy guy has had an important effect on me, the guitar parts and lyrics both. Soon after was my father’s birthday and my mother gave me money to buy him a present. I went to Sears and saw a beautiful Zippo lighter that I thought could be perfect. But then I stopped in the music section and Ryan’s “Rock ‘N Roll” album was waiting for me. So I bought “Rock ‘N Roll” for me and the newly released “Let It Be…Naked” for my father. I think he enjoyed the CD more than he would have the lighter. After that, I was also listening to “Love Is Hell,” “Cold Roses,” “Easy Tiger” and so on. Years later, I was in a severe depression. My only reason to live was playing guitar every night, for very little money — just for getting drunk and high. I can’t believe now that I was doing those stupid things. One of the few good memories of that time was playing all the “Love Is Hell” stuff every night; not the songs exactly, but the main guitar riffs. The feelings were the same, “poor guy” is what I was thinking about me. I knew Ryan’s life had been crazy and wild between “Heartbreaker” and “Easy Tiger,” but also sad like mine. After a series of personal tragedies, I got clean and began working hard in my profession. Ryan’s music was always there, albums like “Ashes and Fire,” “III/IV,” “Orion,” “Ryan Adams,” “1984” and “1989.” They gave me a more optimistic (and weird) way of living. I bought a denim jacket and customized it with logos of OCP, Weyland-Yutany, Nuclear and Misfits Fan Club. Guitar is still an important part of my life and I’m always asking questions about equipment and guitar techniques of the guitar players in Ryan’s bands — Neal Casal, Brad Rice, Johnny McNabb, Ethan Johns, Mike Viola, etc. Definitely, Ryan’s music is the soundtrack of my life, and he is a very strong influence on me as a person. I commonly cite his statement, “Stay Weird,” in my own life. 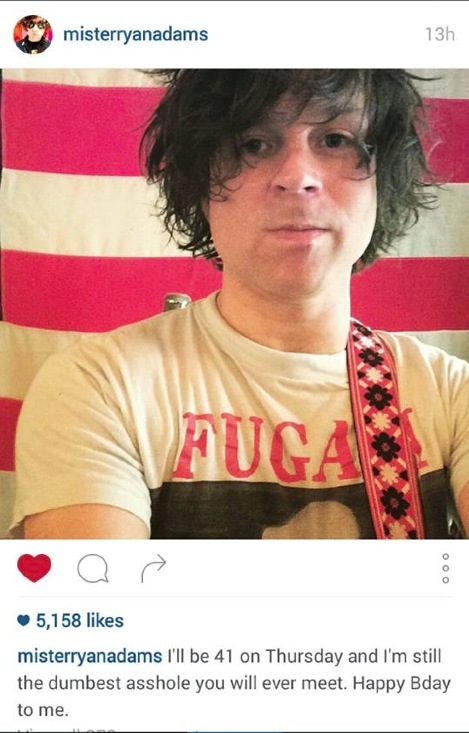 So in case you missed it, Ryan Adams kind of broke the internet a couple of days ago when he started posting soundbites of his latest PaxAm Studio project. He’s been recording a cover version of Taylor Swift’s current megahit album 1989 in his Los Angeles studio, with various songs in the style of the Smiths and other unlikely sonic templates. The whole thing is almost too adorable for words because (a) pretty much everybody loves Taylor Swift nowadays; (b) Ryan is kind of the perfect deconstructive genius to pull off a gimmick like this convincingly; (c) it’s perfectly in-character with his 1984 fetish; and (d) thanks to social-media buzz, it seems like there’s more of a chance we’ll actually hear the finished product this time than his never-released Strokes cover album from a few years back. Nothing like a release date has been mentioned yet, but stay tuned. Meantime, despite the silly headline (“Grizzled Old Rock Music”? ), this story is a pretty decent summary and also has some video clips. Based on what I’ve heard so far, I’m thinking I’ll like this a lot more than Ryan Adams. And heck, maybe she can even talk Ryan into giving Raleigh another chance. ADDENDUM: Here’s another update, with a preview of “Bad Blood” done Heartbreaker-style.